Cyprus` Presidency of the EU and the country`s 52nd anniversary of independence were celebrated with an event at the New York City’s Lincoln Center on Wednesday. The event was attended by President of the Republic of Cyprus Demetris Christofias, President of the European Commission Jose Manuel Barroso, President of the European Council Herman Van Rompuy, heads of state and government, ministers, and members of the diplomatic corps, among others. The whole event was organized by the Cyprus Federation of America in cooperation with the Permanent Representation of Cyprus to the UN and the General Consulate. The program, titled “Cyprus: Musical Filoxenia”, included a banquet and a recital by the world-renowned French-Cypriot pianist and composer Cyprien Katsaris, with the participation of the Archdiocesan Metropolitan Youth Choir, the Greek-Cypriot baritone Constantinos Yiannoudes and 14-year-old tenor George Ioannou. Congratulating them, President Christofias said all the songs spoke about Cyprus. Speaking at the event, Barroso said Cyprus has invested much in a successful Presidency of the EU and a stronger Europe. 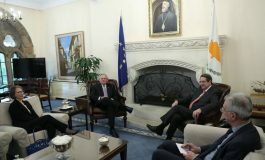 Van Rompuy referred to his friendship with President Christofias and said he would refrain from any political statements. Cyprus Federation President, Peter Papanicolaou expressed satisfaction for the event, attended by over one thousand people, including Archbishop Demetrios and prominent members of the Greek American Community. After the event, President Christofias departed from New York. 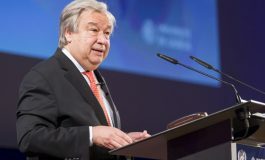 President of the Republic Demetris Christofias has praised UN Secretary-General Ban Ki-moon for his contribution in efforts to solve the Cyprus problem during his term in office. In a speech at a dinner hosted in his honour by the Cyprus Federation of America on Monday, President Christofias said “irrespective of the difference of opinion, this SG did his utmost to help us promote a solution to the Cyprus issue”. He said “the SG has been under a lot of pressure to make statements on the procedure of the talks and on convening an international conference, but at the end, I believe we have maintained our positions and pressure from some of our allies has not been successful”. President Christofias said that international leaders are aware of the Cypriot positions and “unfortunately, our views have been vindicated”. The Cypriot President praised the role of the Cyprus Federation and its members, noting that it has been very significant and helpful for the government. “I would like to thank you for our cooperation, not only in the past five years but also the seven years when I was the Speaker of the House of Representatives”, he said. “It was fruitful and effective”, he added. 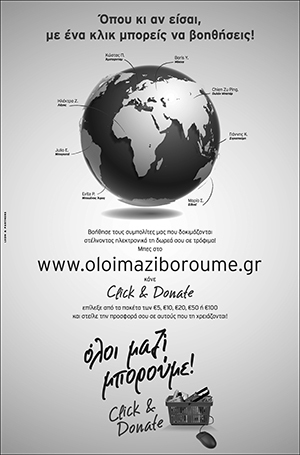 He also paid tribute to the humanitarian activity of the Federation and the work of the members of the Cypriot community. President of the Federation, Panicos Papanicolaou praised the cooperation of the Cypriot community with President Christofias and the government in the past five years. “We want to thank you for the cooperation we had in the past five years and the sincerity with which you have handled the problems and the issues we have raised”. President Christofias has already said he will not seek re-election during the presidential elections in February 2013.